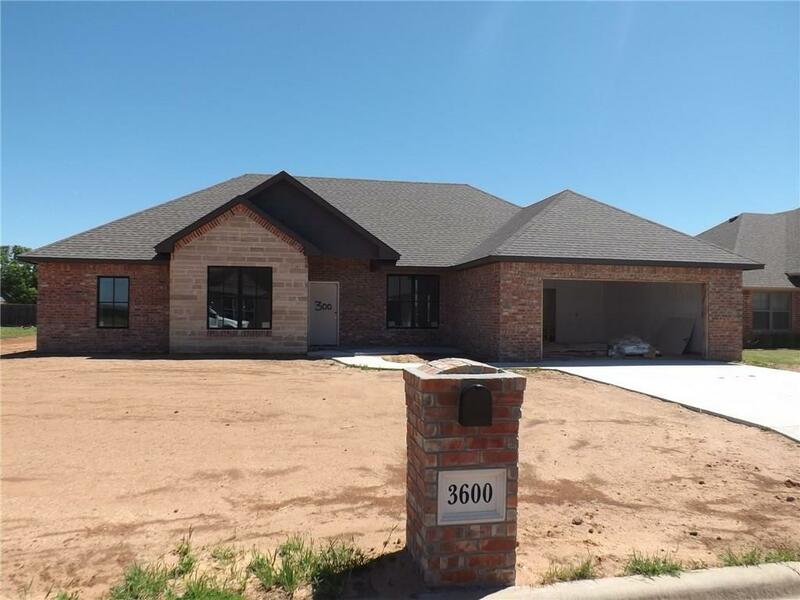 3600 Regal Drive, Altus, OK.| MLS# 860581 | CENTURY 21 Altus Prestige Realty, Inc.
Beautiful NEWLY Construction home which should be finished in approximately 60 days. This home has three bedrooms, 2.5 baths, study, open floor plan. The builder will give you choice of stained cabinets or painted. Counter tops will be granite. Large island, large pantry, choice of gas or electric cookstove. The appliances will be stainless. Home has large windows, for lots of natural lighting, Large covered patio, Wood privacy fenced backyard. Yard will be sodded & have a sprinkler system. The style is Ranch with red brick & stone. Bedrooms will all be carpeted & all other floors will be the wood plank tile. Large family room with a fireplace, formal dining room, custom tiled walk in shower in master , double sinks in master. Home has tall ceilings, ceiling fans, two car garage. Master bedroom is 16'2" x 13'6 with vaulted ceilings.